How Can I Get My Business to Rank Higher in the Search Engines? Search engines have taken over our lives. 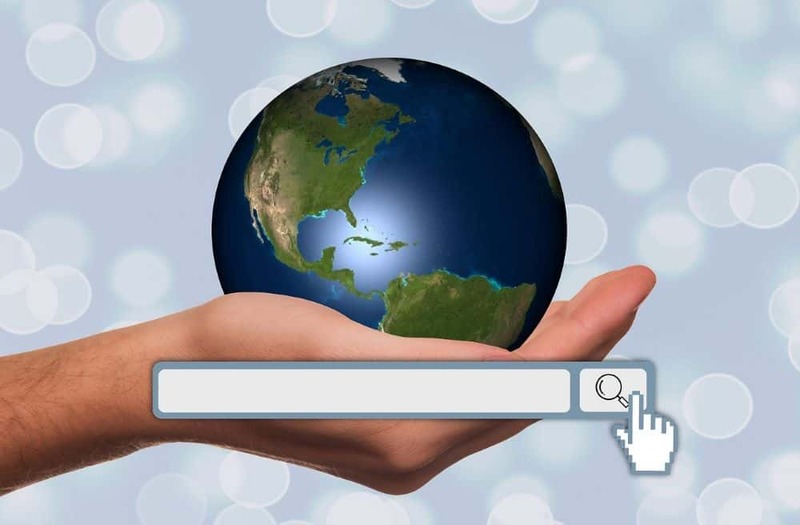 There are more than 40,000 search queries in Google every second, with more than 3.5 billion queries per day. Businesses are increasingly aware that capitalizing on this online real estate is one of the best ways to introduce your business to new customers. What’s more, it’s one of the most reliable long-term marketing strategies you can pursue. However, you won’t be able to achieve higher traffic or more brand notoriety if you’re stuck in the deep pages of search results. Instead, you need to rank higher. As a matter of fact, ideally you need to be in one of the top three slots for keyword-based queries relevant to your brand. But how exactly can you accomplish this? The strategy for ranking higher in search engines is known as search engine optimization (SEO). This strategy relies on taking advantage of how Google’s search ranking algorithm works. Essentially, there are two components that Google considers when determining what web pages to rank: relevance and authority. Relevance refers to how appropriate a page is for the query the searcher typed in. Here, Google wants to make sure that users get answers to their questions or find what they’re looking for. Authority refers to how trustworthy a site is. In other words, Google wants to make sure the pages it ranks are quality sources of information. SEO involves many different sub-strategies. These strategies can improve your relevance for queries you want to rank for and improve your overall authority. For starters, there’s onsite optimization. This is a collection of strategies designed to optimize your site and individual pages for search engines. For example, alter your site layout, choose the right titles and descriptions for your pages, and improve your site loading speed. Also, make sure your site is mobile-friendly. These are all important steps for ranking higher. There are hundreds of small factors to consider here, many of which are technical. However, the high-level view is to ensure your site is seen and valued by search engines. Most strategies to rank higher will also require an ongoing onsite content strategy. The idea here is usually to flesh out a blog with detailed articles, whitepapers, press releases, and other forms of content your visitors will find beneficial. Each new piece of content you develop is another page that can earn rankings in search engines. They will all add to the perceived trustworthiness of your site. Each article is also an opportunity to optimize your site for specific keyword phrases. For example, the title of your article may reference or address a common customer question in your industry. This will increase your site’s relevance for those queries when they come up in search engines. Onsite content also has non-SEO-related value for your site. Visitors who read this content will be more likely to come back. They may also be more likely to see you as an authority in the industry. And they may be more likely to convert. Then there’s link building. Link building is an essential part of any SEO strategy. That’s because it’s the only reliable way to improve your authority over the long term. The most significant way Google evaluates domain and page authority is by analyzing link networks. It’s complicated, but the gist of it is that the more links a site has pointing to it, and the more authoritative those links are, the higher it’s going to rank. However, you can’t just spam links to your site. Google could catch you and penalize you. Instead, the best way to approach link building is by including links on valuable pieces of offsite content, preferably with high-authority publishers. Doing so will incrementally improve your authority over time and will also send referral traffic your way. Of course, it’s hard to be successful with these strategies unless you have a high-level vision dictating how to use them. Part of having a good SEO campaign is knowing which keywords and phrases to target, which you can only determine with research and analysis. Beyond that, you’ll need to carefully measure the results of your efforts, monitoring your backlink profile, studying your organic traffic, and of course, watching how your rankings grow over time. It’s hard to precisely predict how your tactics will affect your strategy to rank higher. Therefore, monitoring your metrics and making gradual adjustments over time is the only surefire way to ensure you keep growing. While it’s not hard to find information on SEO fundamentals, it is hard for an amateur to plan and execute a strategy to rank higher in the search engines all on their own. Instead, you’ll need to have the help of at least one professional, whether that’s a team member who specializes in SEO or a professional agency, to help you earn higher rankings. It takes an investment, in time and/or money, to eventually see results. However, with a smart plan and plenty of dedication, in due time your site will rank higher and higher in the search engines. Next articleWhat Does the Big Mac Index Have to Do with Forex Trading?